Portsmouth is fortunate to have so many excellent attractions which draw thousands of visitors to the city each year. The Historic Dockyard, with the superb new Mary Rose museum, HMS Victory and HMS Warrior are of course extremely popular. However, along the Southsea seafront you will find a real gem of a museum which reopened in April 2018 after extensive renovations and is well worth a visit: the D-Day Story museum. D-Day – the 6th June 1944 – is undoubtedly one of the most significant military events in the nation’s history. Portsmouth – whose naval base has been a key feature of the city for 800 years – was crucial to both the preparations leading up to D-Day and in the supporting and co-ordination of the landings. This resulted in the largest ever assembly of military personnel, aircraft and ships that has ever taken place; thousands of Allied troops landed on the beaches of Normandy and for many weeks were involved in bitter and bloody fighting, helping to bring the war to a successful conclusion one year later. Since 1984, this momentous day has been commemorated in Portsmouth with a museum dedicated to D-Day. 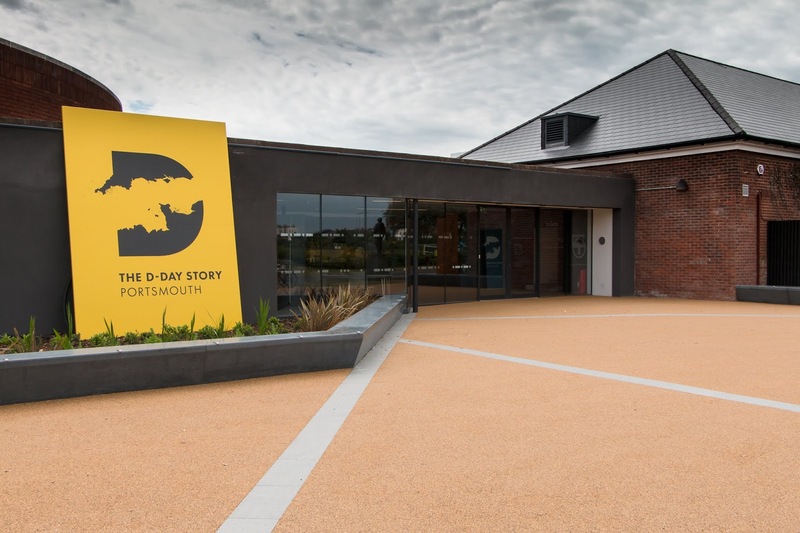 Last year, the D-Day museum closed for a comprehensive refit following the securing of funding from the Heritage Lottery Fund and in April 2018 the new building reopened: The D-Day Story was reborn. 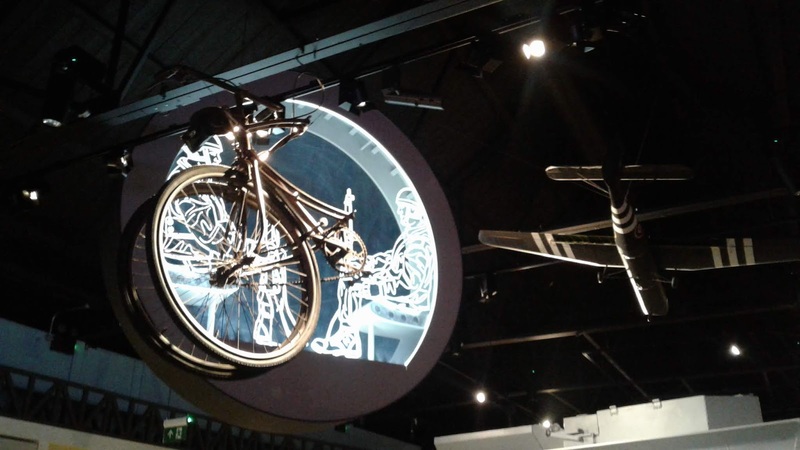 The museum has carefully considered the needs of today’s museum goers in planning the displays, using interactive technology in a way which helps to imaginatively communicate the stories behind D-Day. It is important to add though, that paramount to the D-Day Story is the collection itself: this is not just about technology. The museum’s project team has diligently researched each artefact and also used the temporary closure of the museum to identify gaps in the collection. For example, it was agreed that as well as telling the story of D-Day from a primarily British perspective, it was important to illustrate the impact on the people living in France during the time of German occupation. The new D-Day Story is ultimately dedicated to sharing the stories of individuals, whether they were sailors, soldiers or aircraft personnel or civilians; adults and children. 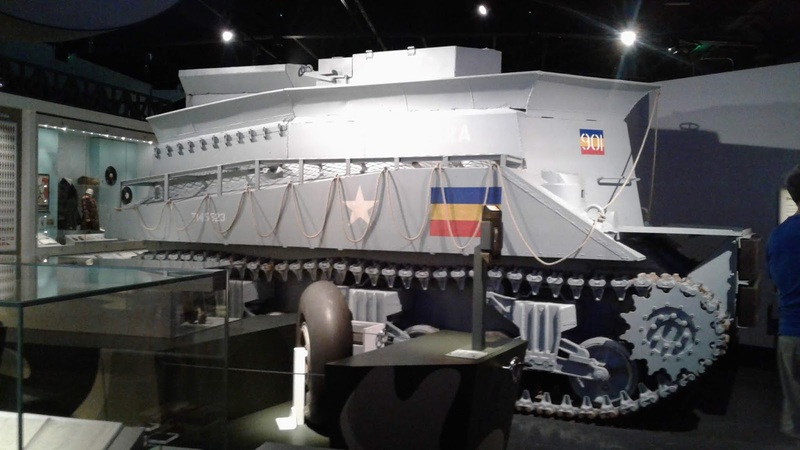 The museum collection is effectively separated into three main sections: Preparation; D-Day and the Battle of Normandy; as well as the Legacy and Overlord Embroidery exhibition. The D-Day Story has been designed to enable you to move through each of the different spaces at your own pace, with clear descriptions of each item in the collection. There are moving interviews with people who took part in the campaign, men and women who recall on camera what D-Day meant to them; many of the memories are extremely poignant. For me, one of the highlights was the display where you can see the faces and hear the voices of the soldiers as they approached the beaches of Normandy on a landing craft, in a recreation of what the experience would have been like on that auspicious day in the early summer. It is extremely impressive.